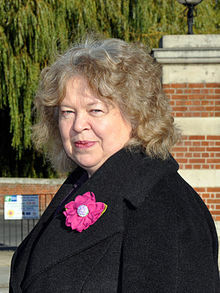 Green MEP Jean Lambert has criticised proposals for new climate change targets published by the the European Commission has today , saying they must go further. The European Commission has today published proposals setting out how the EU will tackle climate change between now and 2030. Specifically, they must also include a target on improving energy efficiency, said Ms Lambert – and they should be higher. “The EU should offer real leadership on tackling climate change,” she said. “Climate Change is a truly global problem, and we need to tackle it fairly. It is the developed world which has caused the lion’s share of the emissions which are already causing devastating climate change – and poorer developing countries that are paying the heaviest price. “The EU needs to be much more ambitious. I welcome the fact that these proposals include targets on reducing CO2 emissions – and increasing the amount of our electricity we generate from renewable sources, but at 40% and 27% respectively these targets just aren’t high enough. “Greens believe we need to reduce CO2 emissions by at least 60% by 2030 – and to do that we’ll need to generate at least 45% of our electricity from renewable sources like wind, solar and tidal. Even MEPs in general have been more ambitious than the Commission. “The strategy also calls for progress on improving energy efficiency by as much as a quarter but stops short of setting a target that would require Member State governments to actually do so – and that’s deeply disappointing. “Increasing energy efficiency by requiring EU governments to improve insulation in the EU’s crumbling housing stock is the single measure that would do most to cut domestic energy bills while tackling climate change and creating jobs – but these proposals stop short of requiring that. “This strategy really matters – not just because it will dictate action here in the EU but also because it will be the bedrock of the EU’s negotiating position at next year’s crucial UN Climate Talks in Paris, and could therefore end up shaping global climate policy too. This entry was posted in Campaigns, International News and tagged Climate Change, global problem, Green MEP Jean Lambert, new climate change targets, the European Commission, UN Climate Talks, UN Climate Talks in Paris by tamesidegreens. Bookmark the permalink.